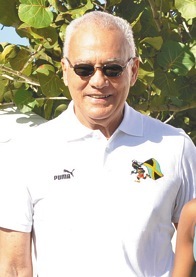 We regret the sudden passing of Reggae Marathon Chairman, Barclay Ewart who passed on February 1, 2012 after completing his usual morning run. Chairman Barclay led by example; running the affairs of Reggae Marathon with discipline, dedication and keen insight. His invaluable contribution will be deeply missed.